An even leaner, even more serious version of Roland Emmerich’s Godzilla. 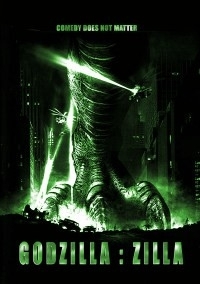 I started looking at Godzilla before Xmas 2008. It has always been a unanimously crap film and it just happened to be on. As I’d recently joined the FE community, I started looking at the film differently – could I remove elements to improve it? The love subplot always bothered me, plus painfully bad dialogue and humour. The military seemed to be completely inept, so I did the first edit – V1.0 which trimmed 18 minutes, but was my firstling effort and contained many rookie mistakes and inevitably didn’t go far enough. Boon23 and Tranzor suggested changes and I decided to start from scratch again. This time, I was much, much harsher with the material, cutting psychotically to the point where we began to wander into incoherence... fortunately, a couple people such as JMB and Zeppelinrox saved me from that and now I believe we have a much leaner, tighter and overall serious version of the Emmerich nightmare. BIG thanks go out to JMB and nOmArch who assisted on a couple sequences (especially JMB who has given alot of advice and help). Also to Boon23 for the cover. - Knives do not fall in 'comic' fashion next to chef. - Nick does not sing in the van (but he had to when he arrived). - We don't see any pictures of Audrey while Nick works. - Removal of screwing up Nick's name. - Old Man does not say 'Gojira'. - Old man does not say 'Gojira' again. - No introduction to Audrey. - Nick's boss does not chat him up. - Audrey is not 'too damn nice'. She can be tough. - Audrey doesn't go gooey eyed at Nick on TV - so much. - Audrey's boss doesn't not notice Zilla walking past while on annoying mobile phone. - Animal only looks like he crapped his pants once. - No comedy from the Mayor in the helicopter with the sweets. - Roache does not express great distaste of the coffee. - No further coffee distain about American 'French Roast'. - More Mayoral comedy removed. - "We need bigger guns." No you don't. - Destruction of Chrysler Building by the Air Force no longer happens. Idiots. - "I think we got him." No you didn't. - Mayor doesn't get offered sweets again. - Audrey's first encounter with Nick has no gooey eyes and dialogue - no reminiscing of the past or allusion to their relationship. - No pictures of Audrey and Nick, Audrey spies the tape and swipes it. - Old man does not say 'Gojira'. Again. - Cut two stupid soldiers who don't notice Zilla's eye and noise he makes when standing! - Blubbing by Audrey all removed, Animal arrives and asks where she is. - Roache doesn't do an Elvis impression. - The Navy don't accidently blow up their own submarine. Idiots. - Nick jumps in an elevator but doesn't arrive at a floor with Zillas eating Popcorn. - Nick doesn't thwart the Zillas by throwing basketballs and gumballs on the floor. - No heart to heart with Nick and Audrey - Zilla just smashes straight out of MSG and they're all stood up at this stage - can't have continuity errors! - Audrey and Animal do not argue over directions at various points in the final chase. - When Zilla finally collapses - we don't get a rather forced 'comic' wheel go bouncing across the screen. - No celebration of Zillas death. - Finish on the egg hatching. I thought about cutting this, but it seemed far too abrupt. Godzilla has always been one of my favorite monsters, and the idea of a fanedit for the 1998 version never struck me. I thought the film was just too bad to be fixed. This version of Godzilla 1998 is far superior in every single aspect. The fanedit is amazing. It really changes the entire movie. I think if someone were to see this they would think the movie is totally different than how it plays out in your mind if you've seen the original cut. The pacing is way faster where it matters and the entire movie focuses on Godzilla "herself" way more. I think if you were ever able to change the soundtrack, this would be an entirely "new" film. Every single detail about it is improved. The only reason this gets an 8/10 on visual editing is because there are a couple of jump cuts that are noticeable that do not transition so well, but again, I think everything in this movie is done with great quality, and theres really no way you could make a better Zilla 1998 film. 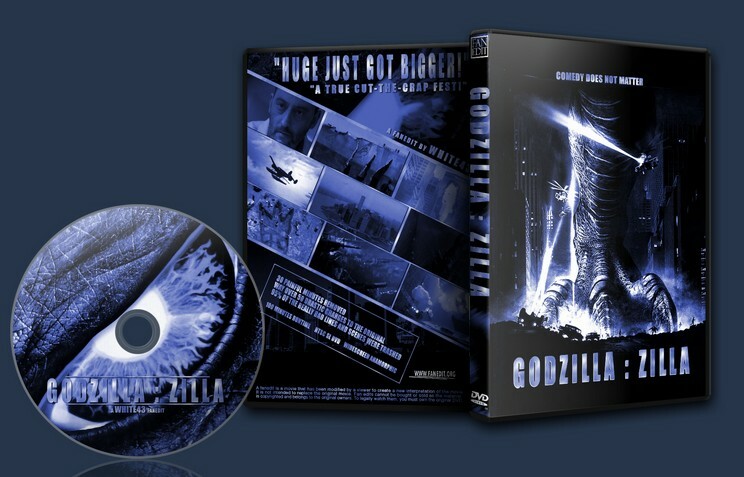 As for the future of Godzilla 1998, I would be interested to see the entire film edited again in HD with a new soundtrack.